Come check out a wide variety of Wesleyan’s incredible dance groups on the most spectacular night of dance this campus has ever seen! Along with information about auditions and group meetings, the Annual DanceShowcase brings hip hop, contemporary, modern, ballet, contemporary African, Caribbean, Indian, ballroom, tap, majorette, and much more onto one stage for one exciting night. 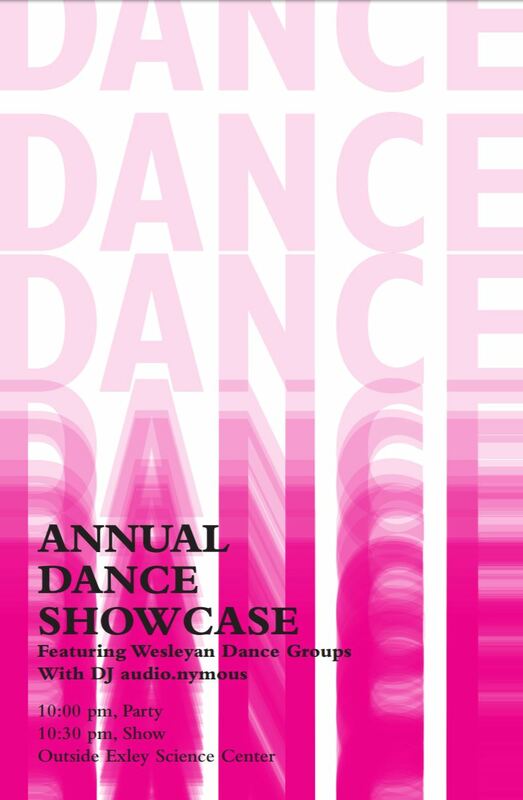 The Annual Dance Showcase is hosted by Precision Dance Company and made possible with the help of graphic designer Melissa Joskow, Shelissa in SALD, the WSA, and the Sound Co-Op. Posted by wilk in Events on September 21, 2017 at 8:31 AM.